The official history of the war in South Africa 1899-1902 is complete in four volumes together with four volumes of full colour maps. 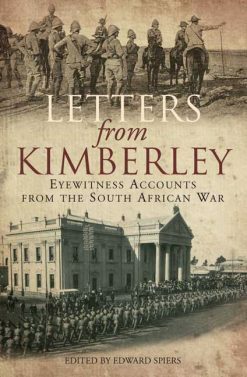 In Volume One (xvii+i+526pp), the war is narrated up to mid-February 1900,.Volume Two (xvi + 701pp), commences with the Relief of Kimberley and ends with the Relief of Ladysmith siege (March 1900). Volume Three (xiii + 609pp) embraces operations in Cape Colony to July 1900, and further operations in the Transvaal and Orange River Colony.Volume Four (xv + 767pp,) records operations on all fronts (apart frof Natal) from Dec. 1900 to the conclusion of peace.Extensive appendices are common to all volumes and each is fully indexed.Four volumes of full colour maps and freehand sketches complete the set. The maps are numbered 1-64. Vol I (Maps) South Africa General Map and maps 1-17 with 6 freehand sketches. Vol 2 (Maps) No.18-37. With 6 freehand sketches. Vol 3 (Maps) No. 38-55. With 11 freehand sketches. Vol 4 (Maps) No. 56-64. 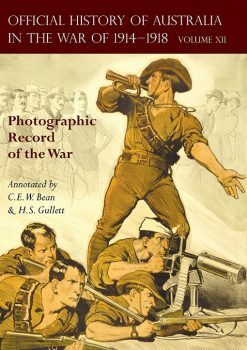 Of several distinguished histories of the Boer War – including works by Sir Arthur Conan Doyle and Leopold Amery – this is the most detailed, exhaustive, and probably definitive. It is the official British history of the conflict, complete in four substantial volumes accompanied by four slimmer volumes of maps. Vol. 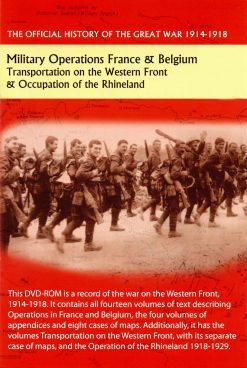 One covers the run-up to war, with descriptions of the South African terrain and the condition of the British and Boer forces. After the arrival of Sir Redvers Buller to take command of British forces, it narrates the sorry story of ‘Black Week’ in December 1899 – the trio of defeats when three British columns were trounced at Magersfontein, Colenso and Stormberg. The first volume concludes with the arrival of ‘Bobs’ – Lord Roberts – to take over command from the hapless Buller and his re-organisation of the British army. Vol. Two opens with the Boer siege of Kimberley and its relief by British forces, followed by the British pursuit of the veteran Boer General Cronje and his defeat at Paardeberg. The campaign in the Orange Free State around its capital, Bloemfontein, follows. Then comes the sombre story of Spion Kop, a bloody British defeat. The volume concludes with an account of the siege and relief of Ladysmith. Vol Three concerns the beginning of the guerrilla phase of the war, with clearing operations in the Orange River and Transvaal against the legendary Boer guerrilla commander De Wet. 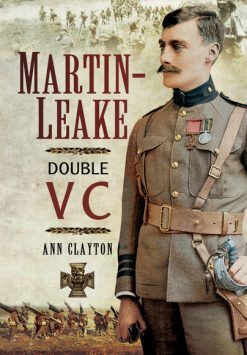 There is also an account of the famous defence of Mafeking by Baden Powell, founder of the Scout movement, and of its relief which sent Britain’s population into paroxysms of patriotic jubilation. Vol .Four is concerned with the final, most painful, phase of the war: the endgame. Under the command of Kitchener, and Generals later prominent in the Great War such as Plumer, French and Hamilton, the British waged a war of attrition to stamp out the final sparks of Boer resistance, using such ‘scorched earth’ methods as farm burning, blockhouse building and, most controversially of all, concentration camps. No serious student of the war can afford to be without these books.2004 Vol I xvii+i+526pp, Vol 2 xvi + 701pp, Vol 3 xiii + 609pp, Vol 4 xv + 767pp, 1 plate. Vol I (Maps) South Africa General Map and maps 1-17 with 6 freehand sketches. Vol 2 (Maps) No.18-37. With 6 freehand sketches. Vol 3 (Maps) No. 38-55. With 11 freehand sketches. Vol 4 (Maps) No. 56-64. France and Belgium 1917. Vol II. Messines and Third Ypres (Passchendaele). OFFICIAL HISTORY OF THE GREAT WAR.